Talks over an €86bn bail-out for Greece have been thrown into turmoil after just four days as the International Monetary Fund said it would have no involvement in the country until it receives explicit assurances over debt sustainability. An IMF official said the fund would withhold financial support unless it has guarantees Greece can carry out a "comprehensive" set of reforms and will be the beneficiary of debt relief from its European creditors. 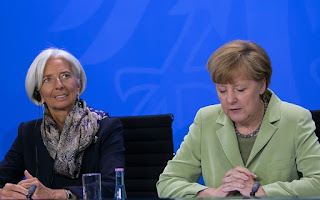 The comments came after the IMF's executive board was told that the institution could no longer continue pumping more money into the debtor nation, according to a leaked document seen by the Financial Times. 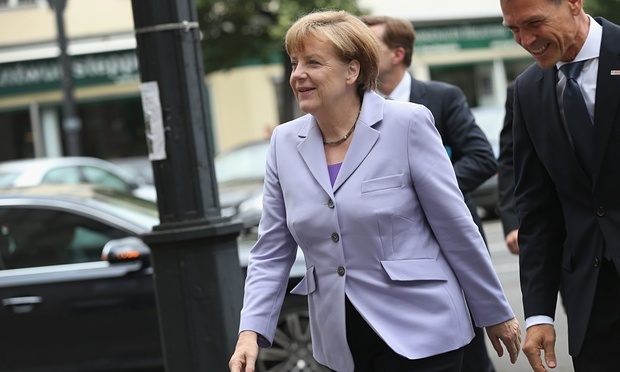 The Washington-based Fund has been torn over its involvement in Greece - its largest ever recipient country. 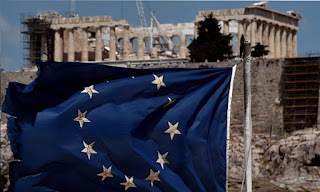 The world's "lender of last resort' said it would continue talks with its creditor partners and the Leftist government of Athens, but made it clear the onus of keeping Greece in the eurozone now fell on Europe's reluctant member states. "There is a need for difficult decisions on both sides... difficult decisions in Greece regarding reforms, and difficult decisions among Greece's European partners about debt relief," said the official. A tattered EU flag flutters in front of the Parthenon in Athens. 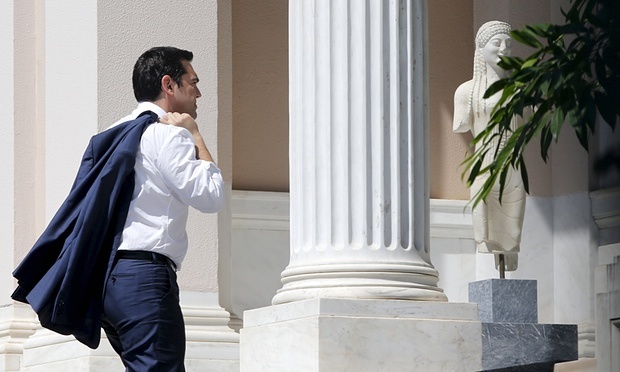 Eurozone finance ministers arriving for emergency talks in Brussels made it clear they were waiting on Athens to sign up to further reforms and were in no hurry to discuss debt relief. 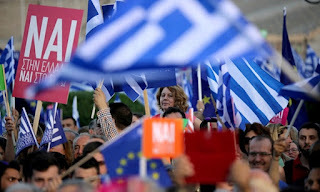 Supporters of the yes campaign attend a rally in Athens on Friday. The Bank of England has been forced to make a £10,000 cut in the amount of individual savings protected when banks go bust because of the slump in the euro over the past five years. The fall means that £75,000 of savings will now be covered by the guarantee scheme, rather than £85,000 – a move that may surprise millions of savers. The Bank said it had to reduce the cover to bring the UK in line with the rest of the EU, which has set a threshold of saver protection at €100,000 (£71,000). That measure was introduced after the 2008 banking crisis to prevent savers being enticed to move money across borders to chase the highest level of protection. The £85,000 limit was set in 2010 and has to be reviewed every five years to keep it in line with the EU’s stipulation. Changes in the value of the euro since then mean the Bank has to alter the conversion rate used to translate euros into pounds at the Financial Services Compensation Scheme (FSCS). The new limit kicks in immediately, although the Treasury is putting legislation to maintain the £85,000 figure until the end of the year. The Bank has also launched a consultation to try to tackle the consequences for individuals locked in to long-term savings products with the aim of allowing savers to move the £10,000 that will no longer be covered without having to pay a fee. German Chancellor Angela Merkel says that whilst the door for talks with Greece remains open, no negotiations on a bailout are possible before the referendum on Sunday 5th July.